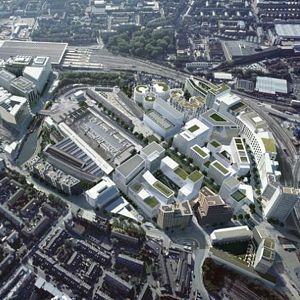 Carillion has been named preferred bidder to design and construct three buildings worth more than £100M as part of developer Argent’s huge King’s Cross regeneration project. The firm will build one large commercial building and two residential buildings, all situated within the north zone of the 67 acre mixed use development in London. Construction is expected to start towards the end of next year, with completion scheduled for 2017. Carillion chief executive Richard Howson said: “I am delighted that Carillion has been selected by Argent to design and construct these prestigious new buildings at King’s Cross. Works have been under way at King’s Cross for the last seven years. When complete, there will be 50 new and refurbished buildings set in a network of new streets, squares, parks and public space. The project will provide 2000 new homes, including everything from top end apartments to affordable and supported housing, student flats and family homes. The scheme also includes creation of over 3 million sq ft of office space, community facilities, schools, a university, shops, restaurants, bars and cultural venues.